Place your order at any one of our locations today! s there really ever a bad time for pizza? We think not! 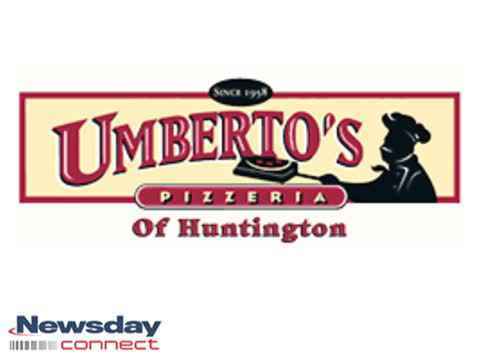 Umberto’s Pizzeria of Huntington has been reviewed as “the best pizza in town” and has received multiple five-star ratings, making our pizza and Italian food irresistible! “Grandma pizza is awesome! Chicken parm is always great, they nailed both as usual… thanks guys! Pizza was nice and hot upon delivery.....a very difficult task these days yet you NAILED it!!! !” –Noah R. via Yelp.com. 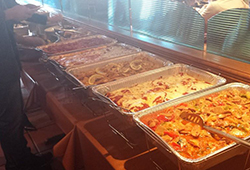 Our menu is stocked with all the traditional pizzas and Italian food you love, as well as some specialty options. We’re popular for our grandma pizza, which is a thin crust pan pizza layered with flavorful tomato sauce and mozzarella cheese. Simple. Delicious. Traditional. 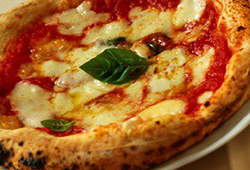 Umberto’s Pizzeria has an array of options to cater to everyone’s cravings. From a variety of pizza toppings to the most satisfying appetizers, like fried calamari and mozzarella caprese, and Italian dishes like baked ziti, heroes, and salads, you’re bound to satisfy your taste buds from the very first bite to your last. We also have great sides, like garlic knots, vegetables, meatballs, and many more. And what’s a great dinner without a dessert? Finish up your Italian meal the right way with a cannoli or tartufo. We also have cheesecake and chocolate cake! To put Umberto’s on the menu for your lunch or dinner today, give us a call for any of our pizzas or specialties and Italian food. You can call to place an order for take-out, and now we even deliver! When you have company over, there’s no better way to satisfy the hunger and cravings than with Umberto’s pizzas and Italian food. Call now! Monday to Thursday: 10 a.m.-9 p.m.
Friday & Saturday: 10 a.m.-10 p.m.
Monday to Thursday: 11 a.m.-10 p.m.
Monday to Thursday: 11 a.m.-9 p.m.
Pizzeria, Pizza Delivery, Italian Food, Catering, And More.